Sears Canada's reinvention is on full display at a Pop-Up Shop in Toronto's trendy Queen West neighborhood. The Shop lives at 322 ½ Queen St. W. and showcases the retailer's newest merchandise initiatives, including the all-new Sears private-label product line-up and off-price offering The Cut @ Sears, making Sears Canada the only nationwide retailer to offer both key retail strategies all in one store. The brand also unveiled a trend-focused fast-fashion line targeted to shoppers aged 20 to 30 years old. The Pop-Up is a small taste of the exciting assortment Sears Canada now has available across the country and on its website, sears.ca. The Pop-Up and new initiatives were revealed to a VIP audience last week at a top-secret launch celebration that included a surprise fashion show debuting Sears new looks in apparel, plus some featured home dÉcor products. "2017 is the year for change and reinvention at Sears Canada. We started on our reinvention path last year when we focused on a dramatic refinement to our product selection, to achieve a simple value proposition for consumers – high quality at a low price, and our Sears label essentials and The Cut @ Sears achieves this in a big way. We have also overhauled our customer experience online and in-store as we commit to providing Canadians the best shopping experience possible," says Brandon G. Stranzl, executive chairman, Sears Canada. "This Pop-up shop shows the savvy, fashionable and cost-conscious urban Toronto shopper that we are a hot new destination with great-quality merchandise and amazing prices. Some Torontonians have never experienced Sears Canada, and can now re-discover us and experience the 'wow'," continued Stranzl. The Sears Canada Pop-Up opened to the public at 10 a.m. Sat., April 8, with enigmatic branding: #weveCHANGED. The shop sports a unique in-store design reflective of the company's new Sears concept stores, which launched at select Ontario locations this past fall, combined with quintessentially Queen West characteristics including exposed brick, wood fixtures and a custom street-art inspired piece by well-known local artist, SpudBomb. "We're using #weveCHANGED as our moniker to attract new consumers and engage Canadians in our new customer-obsessed approach without pre-conception. We're re-introducing ourselves with new products, enhanced customer experiences, and a re-imagined philosophy of quality, on-trend merchandise at great prices," Stranzl says. "That way our products can speak for themselves and shoppers can discover the re-invented Sears Canada for the first time." The Sears Canada Pop-Up is open weekly, Mon. to Sat. 10 a.m. to 8 p.m., and Sun. 11 a.m. to 7 p.m.
On April 8, the first 50 customers in line received a $100 cash card to shop the new Sears Canada. Sears Canada is solidifying its place as Canada's go-to retailer for just about everything with the launch of its mono-brand private-label products. The line has a strict mandate to provide Canadians with high-quality essentials at affordable prices in the following categories: men's, women's and children's apparel, home dÉcor and housewares. "We are thrilled to be the first and only retailer in the Canadian market to offer both an off-price business and a mono-brand all in one store," says Stranzl. "We've sourced the best of the best product from around the world to create this unique and high-quality offering, all at a fraction of the cost of our competitors." Sears private label is now available in all Sears Canada stores and online at www.sears.ca. The Cut @ Sears is Sears Canada's new off-price retail business, and one of the most marked changes to its business model in years. The new offering includes both stunning home dÉcor and fantastic fashion finds for 30 to 60 per cent off the regular ticket price. "Off-price retail is a hot trend across Canada," says Stranzl. "It allows us to extend our mandate to provide customers some of the best known designer brands in the world at the most affordable prices. The product has been in select stores for just a few months as part of a soft launch, and the results so far are very encouraging. This is a pivotal move for the Sears Canada business." The Cut @ Sears has dedicated buying teams based in Toronto, Montreal and New York to source the best and most on-trend designer brands, apparel and home dÉcor merchandise from around the world. New product hits stores weekly, making for an exciting and rewarding treasure hunt through racks of designer product. 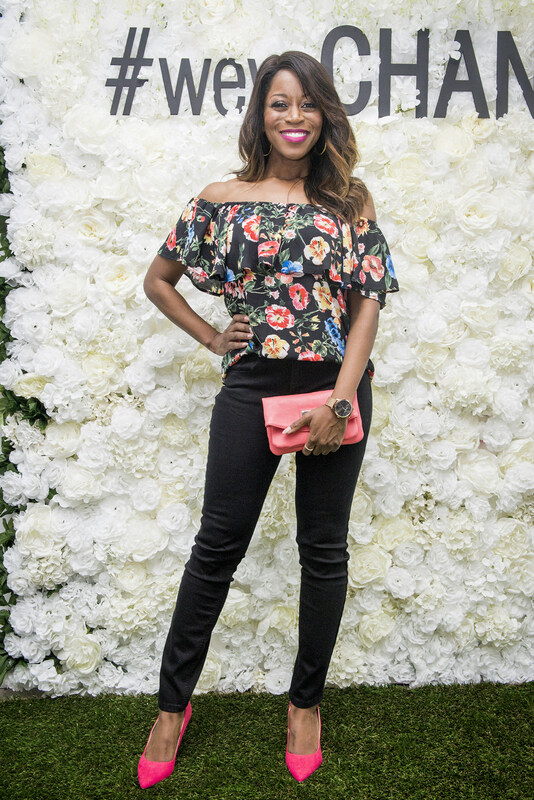 Toronto celebrities Andrea Bain (CBC), Angie Campanelli and fashion influencers Mandy Furnis (SparkleShinyLove), Renee LeBlanc (ReneeMLeblanc) and Amber Desilets (Canadian Fashionista) have praised Sears Canada's new offering. They each revealed their favorite head-to-toe looks from The Cut @ Sears at the exclusive Pop-Up launch party. The Cut @ Sears, which features big-name designers for less, is now available in all stores across Canada and online at www.sears.ca. Supplies of each item are limited.